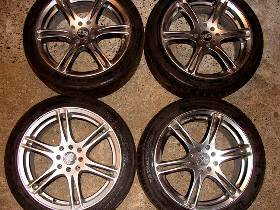 Description: Set of 4 ACE 17" Rims & Tires. 4 Bolt. 2 tires have about 80% rubber.